The Russian Federation has positioned itself as a leading international supplier of nuclear fuel, nuclear technology and related services. Russia is adapting technology from its existing fleet of nuclear powered icebreakers to build floating nuclear power plants (FNPPs) to provide heat and energy to its remote regions, and assist in natural resource extraction. Additionally, Russia hopes to lease the plants to other countries, where they will be used to provide electricity and for water desalinization. Construction on the lead vessel of the class, the ‘Akademik Lomonosov’ began in 2007 at the Sevmash shipyard in Severodvisnk, the extreme north of Russia. In August 2008, the hull of the under-construction ‘Akademik Lomonosov’ was transferred to the Baltiysky Zavod shipyard in St. Petersburg. The Baltiskiy shipyard is where the ships of Russia's nuclear icebreaker fleet were built, and it is the world’s only shipbuilder with recent experience building civilian naval reactors. See further analysis of these issues. "Reactors ready for floating plant," World Nuclear News, 7 August 2009, www.world-nuclear-news.org. "Baltiyskiy Zavod OJSC (St. Petersburg) has started assembling the main floating NPP," Rosatom, 19 May 2009, www.rosatom.ru. “KLT-40S Reactor Plant for the floating CNPP FPU,” JSC «Afrikantov OKBM», Undated, www.okbm.nnov.ru. Alexander Nikitin and Leonid Andreyev, “Floating Nuclear Power Plants,” Bellona Report, 2011. Mark Dowdall and William J.F. 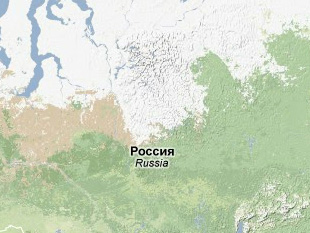 Standring, "Floating Nuclear Power Plants and Associated Technologies in the Northern Areas," Statens Stralavern, 2008. Martin Matishak, "Floating Nuclear Reactors Could Fall Prey to Terrorists, Experts Say," Global Security Newswire, 6 August 2010, http://gsn.nti.org; "Safety and Ecological Compatibility of Floating NPP," Rosenergoatom, www.rosenergoatom.ru.